1. 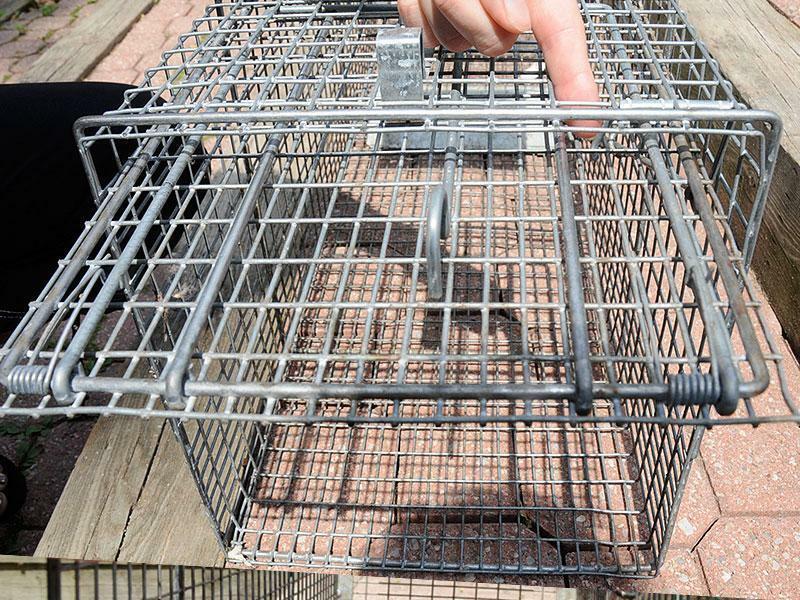 To place bait at end of trap that has the treadle unlock the safety latch at the top of the cage. 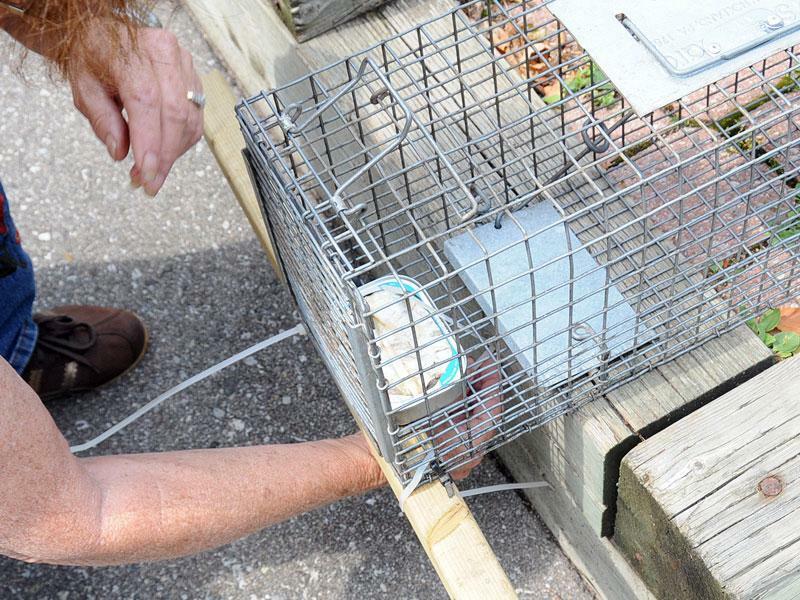 The large raccoon trap may not have this feature and some of the traps have this door zip tied closed in this case you will need to reach your arm into the trap to place the bait behind the treadle. 2. Slide the door out of the slot. 3. Place bait at end of trap. 4. 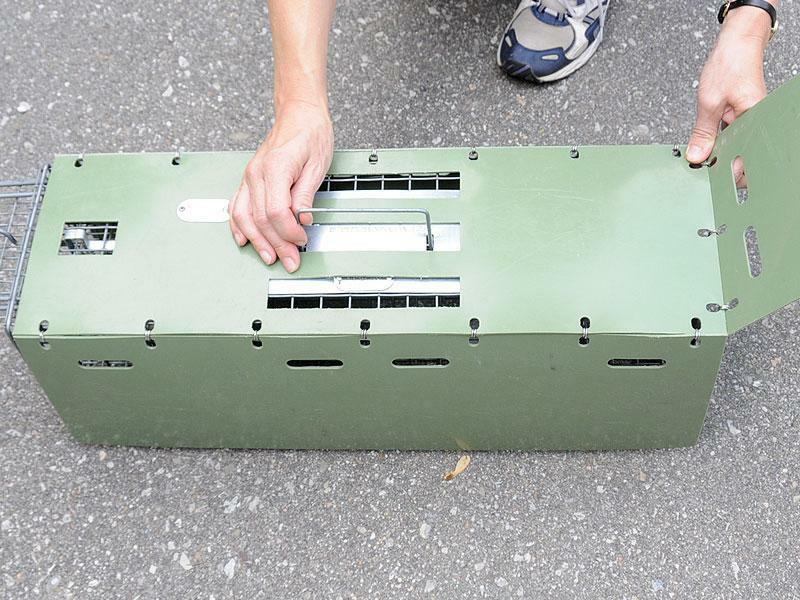 Replace the door that you removed and lock in place. 5. 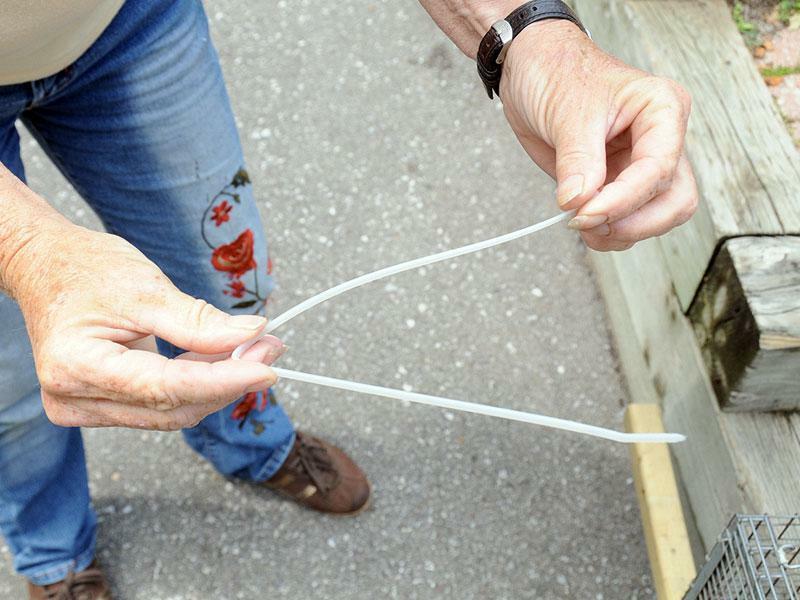 To secure the bait in the trap take a long zip tie and create a bend in the middle. 6. 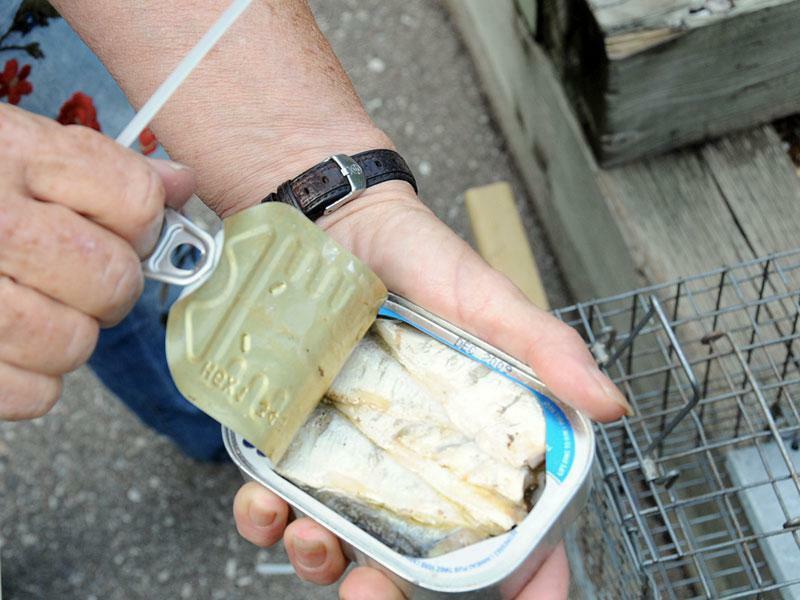 Feed the zip tie through the end door close to the bait, over the bait, down through the floor, under the floor to the beginning point and zip it tightly around the bait. 7. 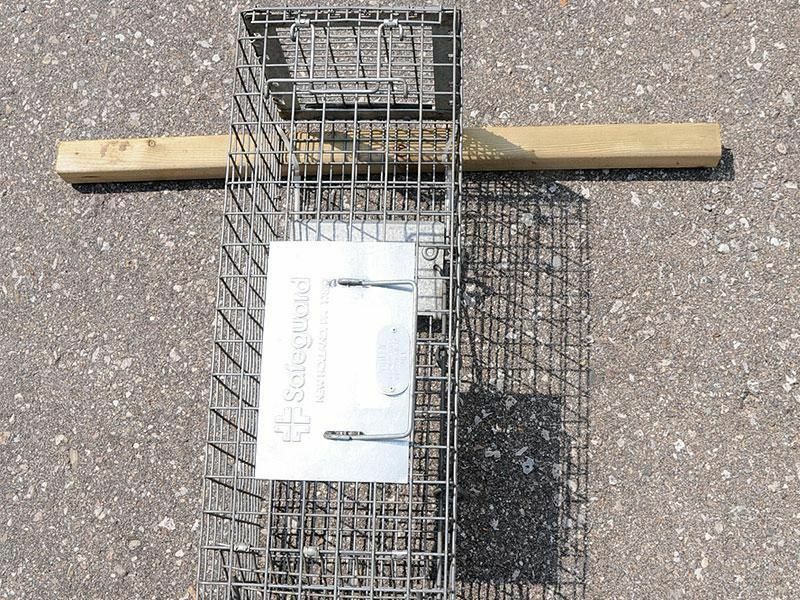 To set the trap keep it flat on the ground in the location you want it. 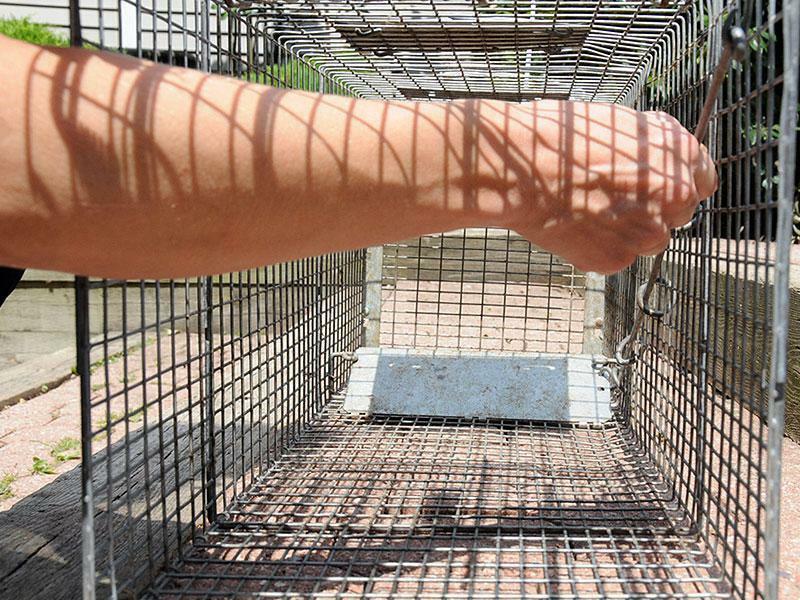 Lift up the silver tab at the top of the cage. 8. 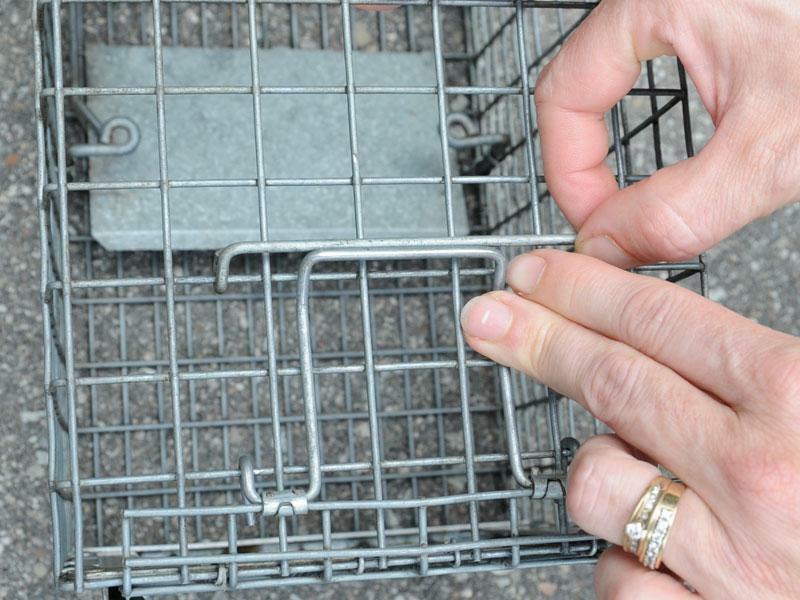 While holding the silver tab up use your other hand to push the metal frame in towards the angled mesh door. 9. 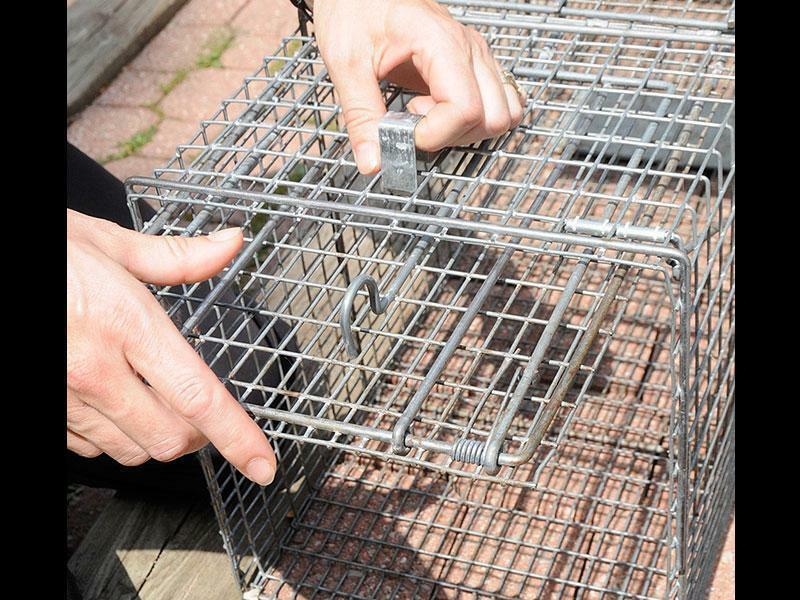 While pushing the metal frame in, lift up the angled mesh door. 10. 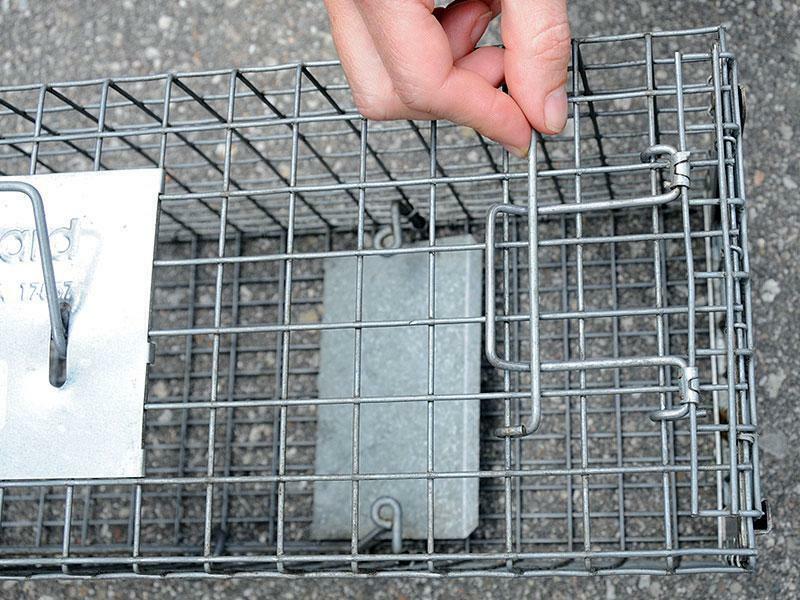 Hold the angled mesh door and metal frame up and release the silver tab. 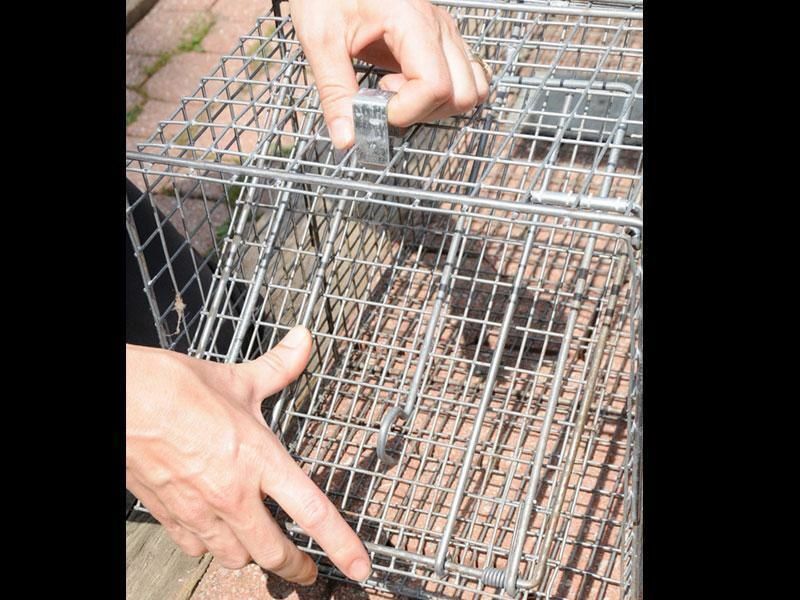 11 .Keep holding the mesh door up and use your other hand to reach into the trap and pull the metal rod inside the trap forward. 12. 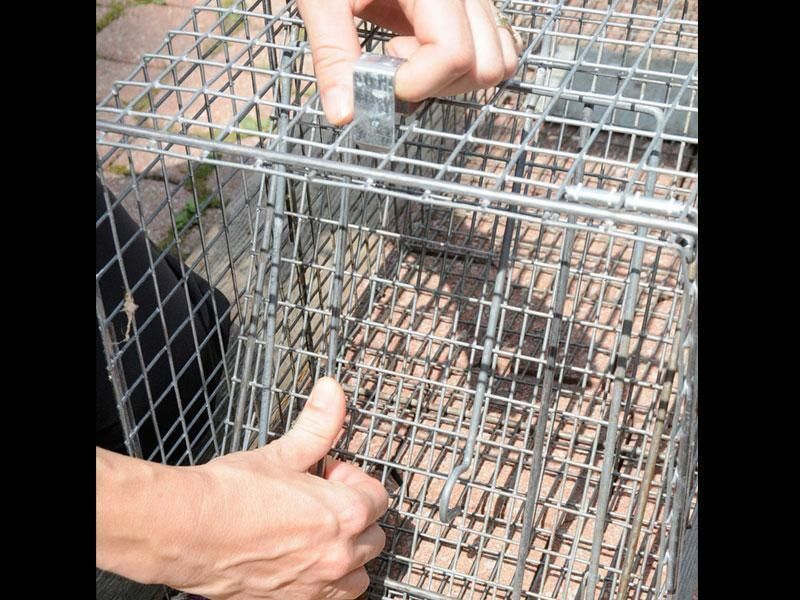 Bringing this rod forward engages a small hook at the top of the cage that latches onto the angled mesh you are still holding up. 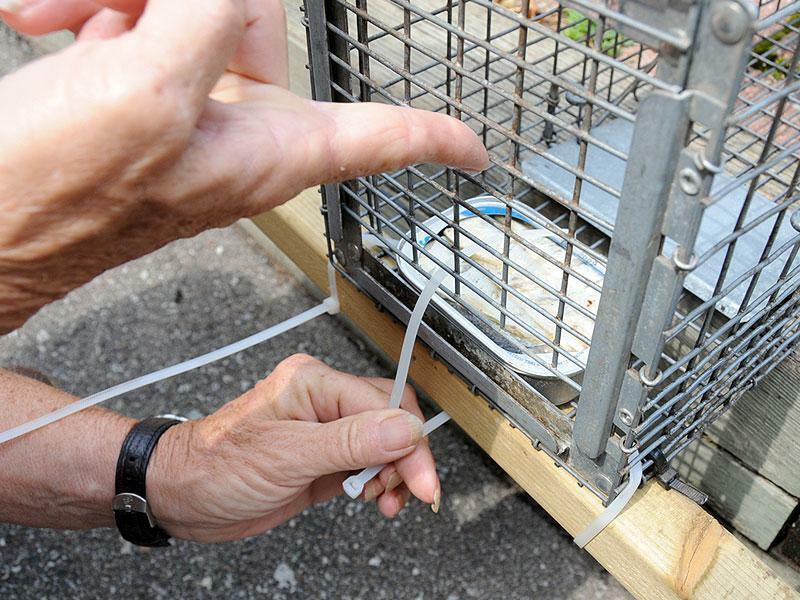 Check to make sure the hook has caught on to the mesh and release the angled mesh door you have been holding up. 13. 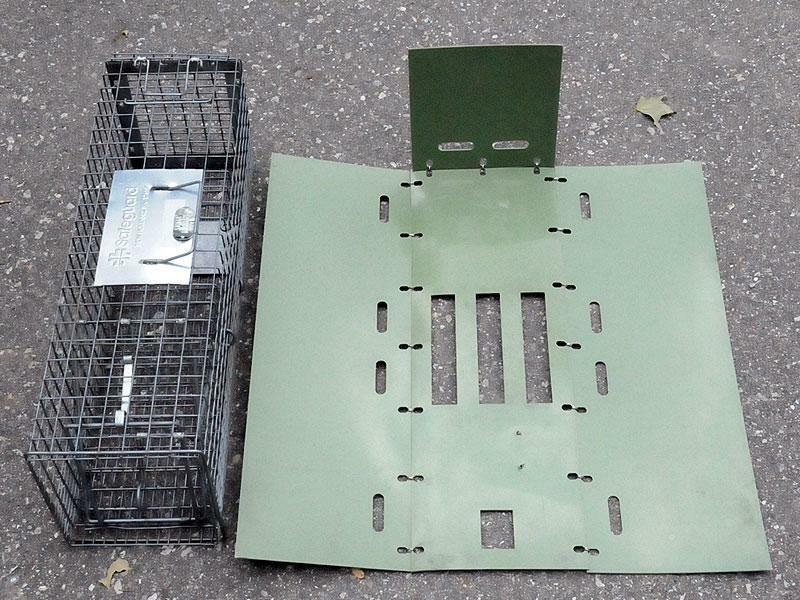 Trap with plastic cover. 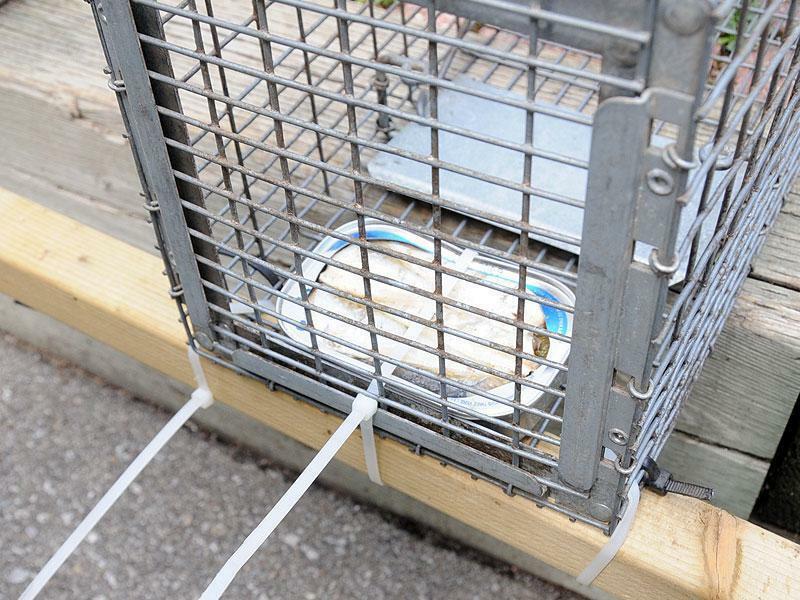 Plastic cover to protect animal from the elements and to prevent skunk from spraying Technician. 14. 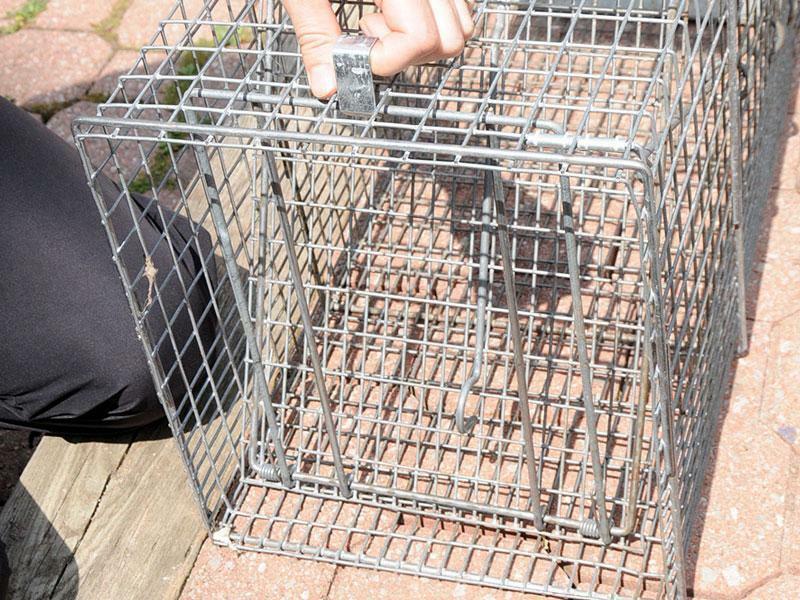 Carefully place the cover over the trap without setting it off! 15. 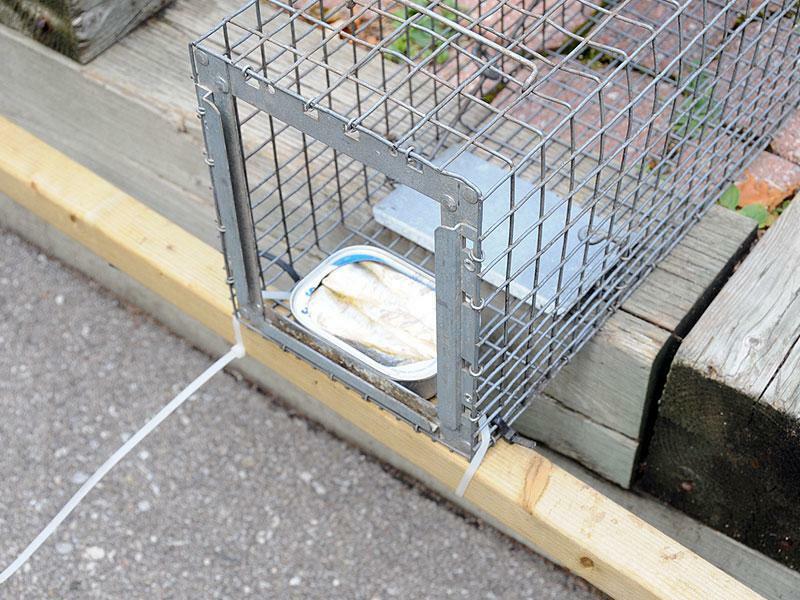 Make sure the back flap covers the back of the trap. 16. 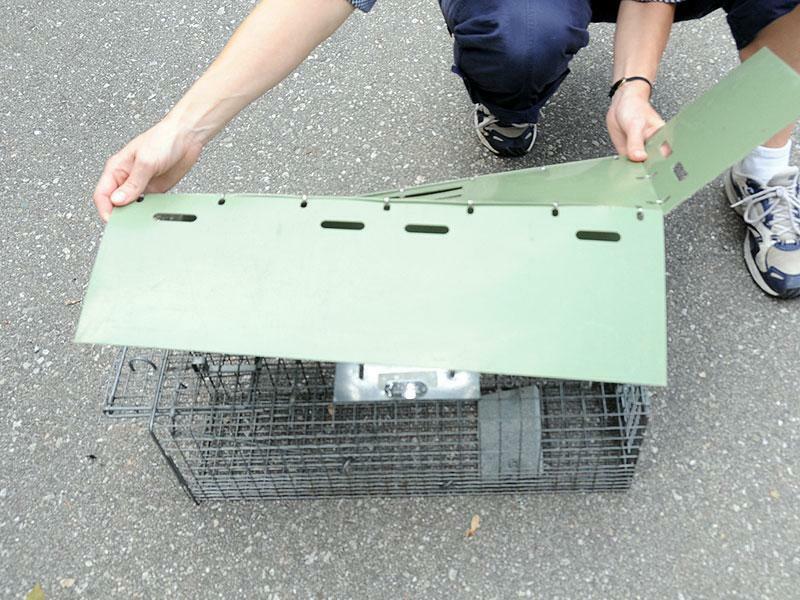 Trap with stabilizer bar to prevent animal from rolling the trap.